Make Flipping Books from Various Documents. Convert PDF, Office, Text and Image files to Flipbooks. Profit will be transferred directly into your Paypal account and we will not charge any fee. Allow you to view the created Flipbooks on your iPad, iPhone, Mac, and any mobile devices. 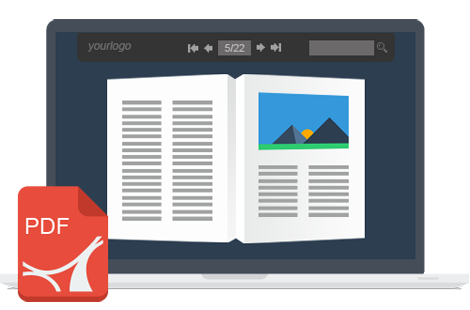 You can easily embed the bookshelf into your blog or website to manage your online Flipbooks. Your flipbooks will be distributed to anywhere in the world via our cloud-based solution. Share digital publications on the social networks, like FaceBook, Twitter, Google Plus. Create Flip Book for Free! Create Interactive HTML5 Page Flip Publications! Our software is No Adware, No Virus. Strong Encryption. Support All Systems.